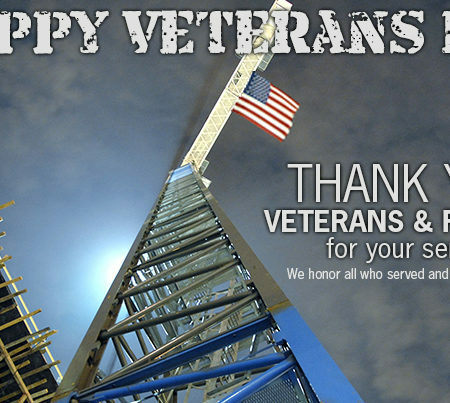 On this Veteran’s Day, please join us in thanking our Veterans for their sacrifice and service to our country. The freedoms we enjoy are the result of their commitment. Thank you all for your service. 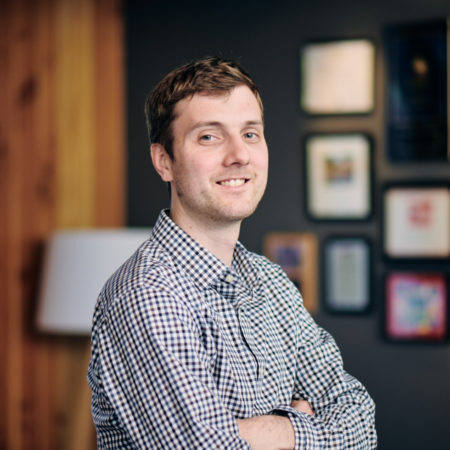 Please Join us in Congratulating Brian Layman on his Promotion to Project Manager! WALSH supports measures 26-199 (local) and 102 (statewide) for affordable housing along with Yes for Affordable Homes! These measures will provide a stable source of financing for 12,000 people to find affordable places to live. Many of the units will be targeted toward the most vulnerable of our population who need the most help. Providing safe, clean housing and supportive social services will go a long way toward helping the less fortunate in our community. The financial impacts on each of us individually is relatively minor and the impact to improve our community is considerable. By passing both together, we will preserve livability for our region and keep our communities together. We hope you will join us in voting “YES” for both 26-199 and 102! Excited with the work at 30Bellevue for Imagine Housing and St. Luke’s Lutheran Church designed by SMR Architects! Excited with the work at 30Bellevue for Imagine Housing and St. Luke’s Lutheran Church designed by SMR Architects! 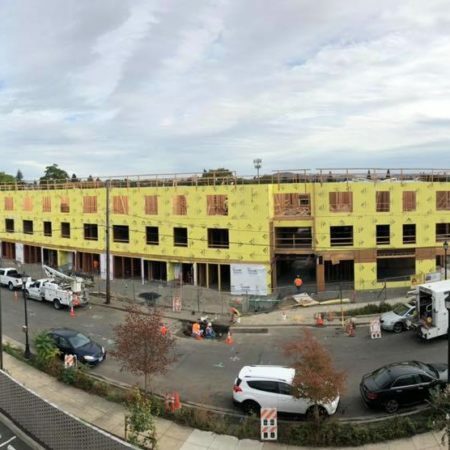 Currently under construction, 30Bellevue will have 63 affordable apartments ranging from 1 to 3-bedrooms and will be built to achieve Washington State Evergreen standards for energy efficiency. 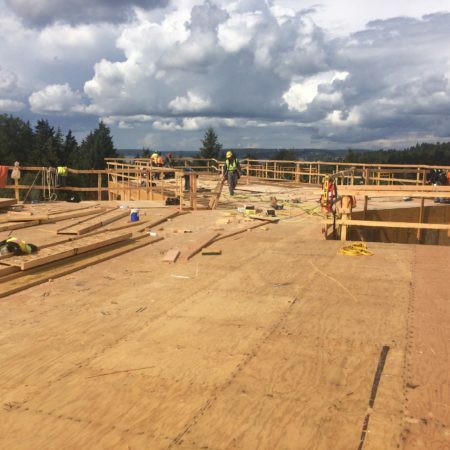 The project’s overall plan and thoughtfully chosen location provide a community of support, with access to jobs, schools, transportation and services for families and individuals in North Bellevue. Thanks to the WALSH team of Joe Patton, Dennis Maples, Tracy Ann Michel, Joe Geise, Jens Perrin, Savanna Anderson and Sharon Libby for their hard work and dedicated efforts on this community building project. We are thrilled to announce Brian Penn is our Washington Safe Person of the Year! 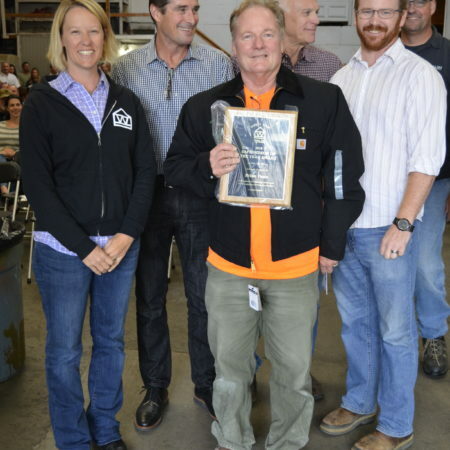 Brian’s dedication, leadership and attention to detail has resulted in a safe work environment on his projects for his fellow co-workers, subcontractors and visitors. The Safe Person of the Year is recognized by co-workers as one who most fully believes in and lives by the mantra, “Safety First”. Congratulations and THANK YOU to Brian for his steadfast commitment to safety! 63 Beautiful Apartments of Affordable Housing for Rose CDC! Beautiful work for ROSE Community Development on their Woodie Guthrie project in the Lents neighborhood of Portland! Woody Guthrie Place, designed by Carleton Hart Architecture PC, will be 63 apartments of affordable and workforce housing. Thanks to the WALSH team of Kent Usher, Forrest Gonzales, Ed Sloop, Linda Woolery and Robert Cunningham for their hard work! Initial leasing will start in late March or early April. To get updates on this property and the Orchards of 82nd, join their mailing list by going to https://rosecdc.org/ and signing up. $50m Sky Lakes Collaborative Health Center Progressing Beautifully! Excellent work by our WALSH and RDF teams, and a cadre of local craftspeople and subcontractors, on the $50m Sky Lakes Collaborative Health Center in beautiful Klamath Falls, Oregon! 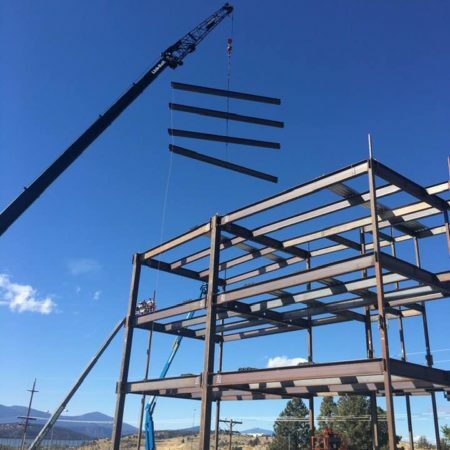 The non-profit, community-owned hospital, Sky Lakes Medical Center, in partnership with Oregon’s only public academic health center, Oregon Health & Science University (OHSU), is constructing a four-story building on the Sky Lakes campus in Klamath to support collaboration and innovation in the way health care is delivered. The nearly 100,000 SF medical office and educational building will improve clinical care, provide an ideal venue for training and ultimately enhance the health of the local community overall. A huge thank you to our WALSH team of Mike Sloop, Pete Bruns, Chuck Moore, Sara Schubert, John Hardesty, Mark Barrows and Beverly Culp! Beautiful images of the steel going up by our super superintendent Pete Bruns! Our WALSH and RDF crews love the work that we do, the projects we build and most importantly the people we build for and with on all of our projects. 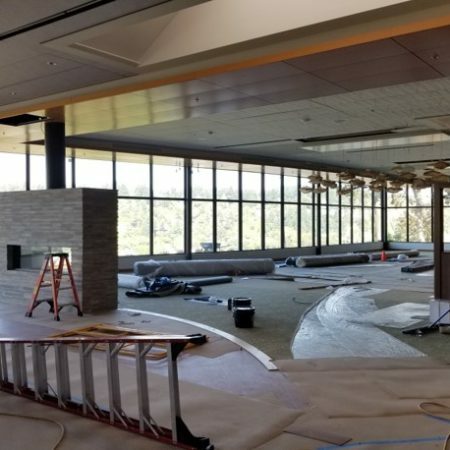 The good people at Willamette View hosted a thank you party, along with Jazzed Up (their resident jazz band), for our crews who are continuing the work on their gorgeous dining building. Here are a few photos of the work and the event! Thank you to our WALSH team of Ryan Wilde, Erik Wahrgren, Kyle Heckaman and Linda Woolery for… their dedication and quality work. 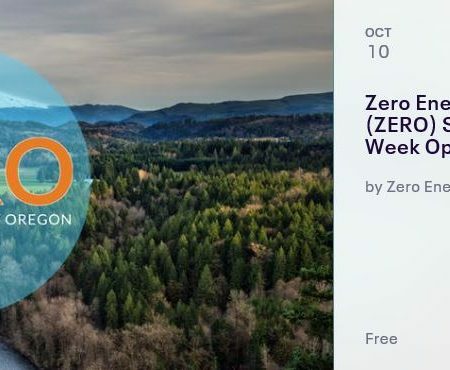 Come out on Oct. 10 for Zero Energy Ready Oregon’s Portland Sustainable Building Week open house! Come out to AIA Portland on Oct. 10 for Zero Energy Ready Oregon‘s Portland Sustainable Building Week open house! You will learn about zero energy buildings in our community and there’s free beer, wine, pizza and salad. 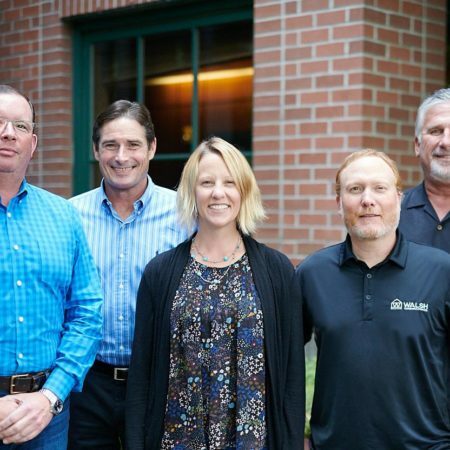 Walsh Construction Co. will be presenting alongside Roseville Senior Living, and MODS PDX! Reserve your spot today! The free event is at 4:30 p.m. on Oct. 10 at AIA Portland: https://zero-open-house.eventbrite.com. WALSH is #62 in National ENR Top 100 Green Building Contractors! Engineering News-Record released its list of top 100 Green Building Contractors placing Walsh Construction Co. #62 out of the top 100 firms nationally! WALSH’s rank of #62 was up from #75 in 2017 fulfilling our company goal of continuous improvement. We want to thank our people for their dedication to building green! ENR is a national publication that reports on the top design firms and the top construction companies, as well as projects in the United States and around the world. ENR connects diverse sectors of the industry with coverage about issues such as business management, design, construction methods, technology, safety, law, legislation, environment and labor.